The Democrats' conspiracy theory claiming Russia "hacked our election" is falling apart. The U.S. cybersecurity firm CrowdStrike, which Voice of America notes was the "first to link hacks of Democratic Party computers to Russian actors last year," was caught misrepresenting data in their December report purportedly showing Russian interference in our elections. WASHINGTON -- U.S. cybersecurity firm CrowdStrike has revised and retracted statements it used to buttress claims of Russian hacking during last year's American presidential election campaign. The shift followed a VOA report that the company misrepresented data published by an influential British think tank. 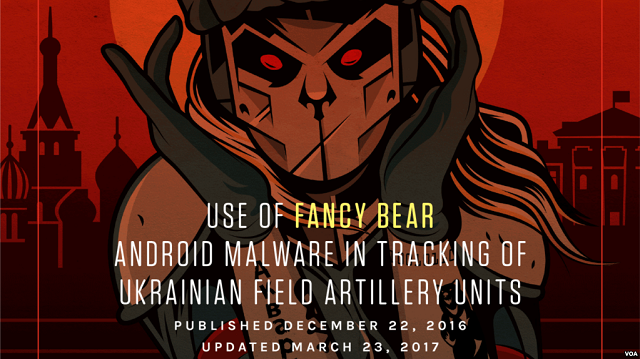 In December, CrowdStrike said it found evidence that Russians hacked into a Ukrainian artillery app, contributing to heavy losses of howitzers in Ukraine's war with pro-Russian separatists. VOA reported Tuesday that the International Institute for Strategic Studies (IISS), which publishes an annual reference estimating the strength of world armed forces, disavowed the CrowdStrike report and said it had never been contacted by the company. Ukraine's Ministry of Defense also has stated that the combat losses and hacking never happened. CrowdStrike was first to link hacks of Democratic Party computers to Russian actors last year, but some cybersecurity experts have questioned its evidence. The company has come under fire from some Republicans who say charges of Kremlin meddling in the election are overblown. After CrowdStrike released its Ukraine report, company co-founder Dmitri Alperovitch claimed it provided added evidence of Russian election interference. In both hacks, he said, the company found malware used by "Fancy Bear," a group with ties to Russian intelligence agencies. CrowdStrike's claims of heavy Ukrainian artillery losses were widely circulated in U.S. media. On Thursday, CrowdStrike walked back key parts of its Ukraine report. The company removed language that said Ukraine's artillery lost 80 percent of the Soviet-era D-30 howitzers, which used aiming software that purportedly was hacked. Instead, the revised report cites figures of 15 to 20 percent losses in combat operations, attributing the figures to IISS. The original CrowdStrike report was dated Dec. 22, 2016, and the updated report was dated March 23, 2017. The company also removed language saying Ukraine's howitzers suffered "the highest percentage of loss of any ... artillery pieces in Ukraine's arsenal." Finally, CrowdStrike deleted a statement saying "deployment of this malware-infected application may have contributed to the high-loss nature of this platform" -- meaning the howitzers -- and excised a link sourcing its IISS data to a blogger in Russia-occupied Crimea. In an email, CrowdStrike spokeswoman Ilina Dmitrova said the new estimates of Ukrainian artillery losses resulted from conversations with Henry Boyd, an IISS research associate for defense and military analysis. She declined to say what prompted the contact. What else did they make up and misrepresent? Why did FBI director James Comey praise CrowdStrike as "highly respected" and rely on their second hand reporting to inform the FBI what supposedly happened with the DNC's hacked servers? ...four days after the Ukrainian DOD denied Crowdstrike’s report — Director Comey admitted that the FBI had been denied access to the DNC servers and praised Crowdstrike, without mentioning that they worked for the DNC or that their recent report had been debunked. Congress needs to launch an investigation into CrowdStrike's relationship with the deep state and the Democratic party.